Imagine building up a significant audience and then posting your most critical updates elsewhere. That’s what matchday social media feeds run by sports club do, and it’s time they were banished to the history books. Sport is big business, but ultimately it only exists because of one thing – matchday. So on a match day, your followers will seek you out for updates and expect to hear from you. What they don’t expect, is silence – with updates being provided elsewhere. Almost three years ago, I wrote “why clubs shouldn’t run separate match day accounts” and it’s even more pertinent now. My most recent experience of this involved London Broncos (I’ve also criticised their website – sorry, Broncos! 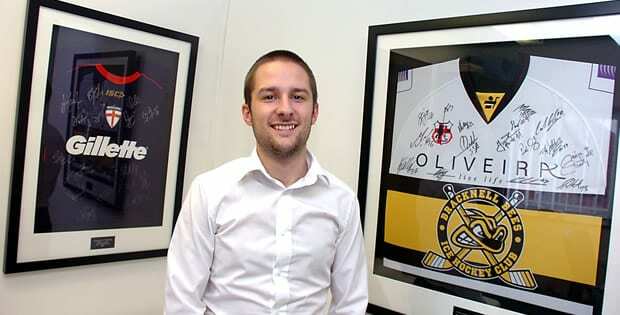 But great to have you back in Super League); who moved within 80 minutes of a return to Super League with a win over Halifax on September 29, yet I could find no mention of it on their official Twitter feed, 22,000 followers. After tweeting, I was directed to their matchday live twitter feed, @BroncosMatchday, which has 606 followers. There may be reasons logistically why a separate feed is needed – such as a volunteer providing the updates and the club not wishing to give access to its primary account, but this can be circumvented by tools such as tweetdeck and Hootsuite, using their access management. You put all the effort in to generating followers on your main account, and matchday provides the most exciting content of the week, and the content most likely to be shared. So get it on that official account! You will also grow the audience from being active on matchday, that means during the week when you’re trying to add exposure to sponsors and partners, and other stories, you’ve got a ready made audience. On that note, a sponsor is far more interested in sponsoring your match day graphics if they’ve a potential audience of 22,000 followers, compared to 600. 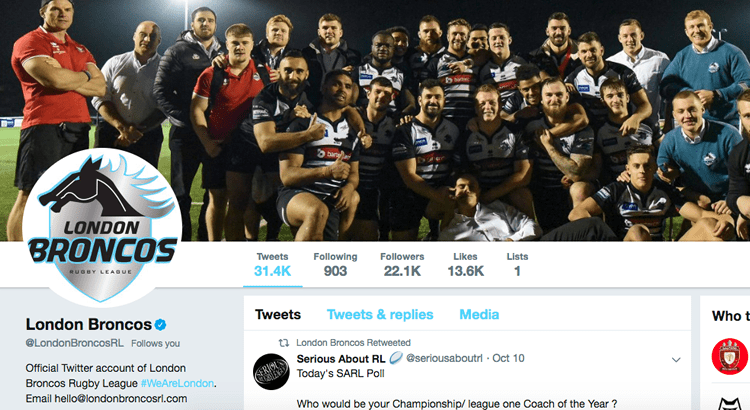 The Broncos, to their credit, responded to my tweet and ended up tweeting their Million Pound Game victory over Toronto Wolfpack through their main account, a game which ended with them securing promotion to Super League. Great job! Hopefully there won’t need to be another one of these blogs in three years time!